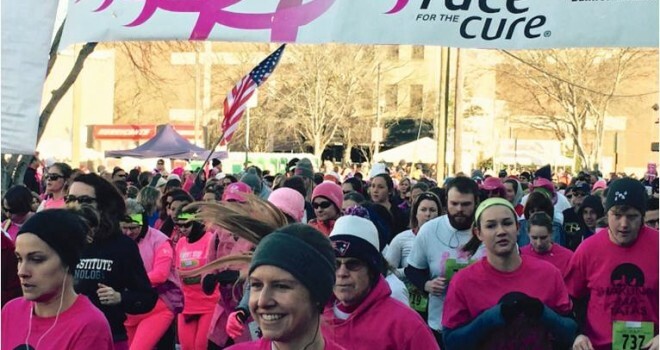 WILMINGTON, NC – Over 1,000 registered participants gathered in Historic Wilmington on Saturday for the Third Annual Susan G. Komen Historic Wilmington Race for the Cure®. Weather conditions were sunny and brisk at race time, with temperatures rapidly rising into the 50s by mid-day. “We are thrilled with the outcome of the race event,” said Pam Kohl, executive director of Komen Triangle to the Coast. “We received tremendous support from our community, raised almost $200,000 to help people in our community, and enjoyed a sunny day to celebrate and honor breast cancer survivors. We appreciate all of our sponsors and supporters who helped make it all possible.” Fundraising for the Wilmington race continues through March 31. Donate here. Kim Mueller of Castle Hayne won the 5K Women’s Race with a time of 17:44.7 and Tim Nichols took top honors in the 5K Men’s category with a finish time of 16:49.5. Click here for race results. 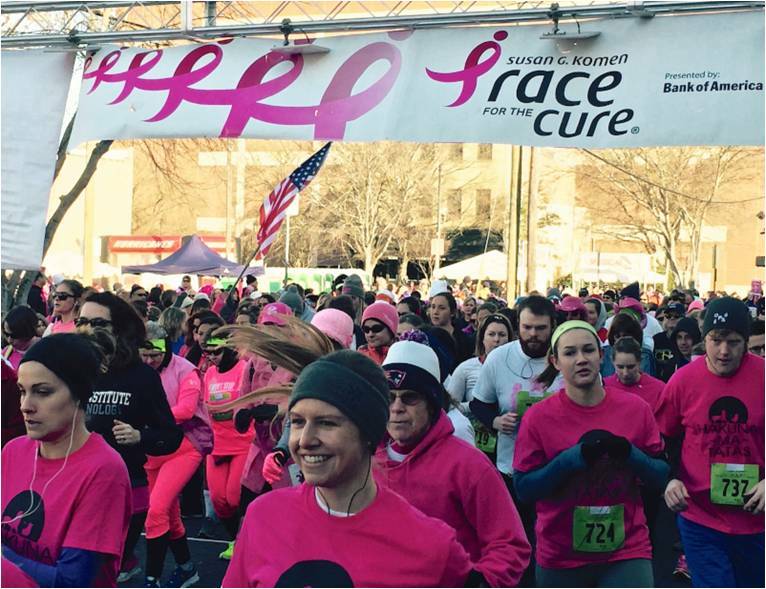 The Susan G. Komen Wilmington Race for the Cure® was presented by local sponsors Wilmington Health and Belk.